Best wet and dry traction vs. leading competitors. 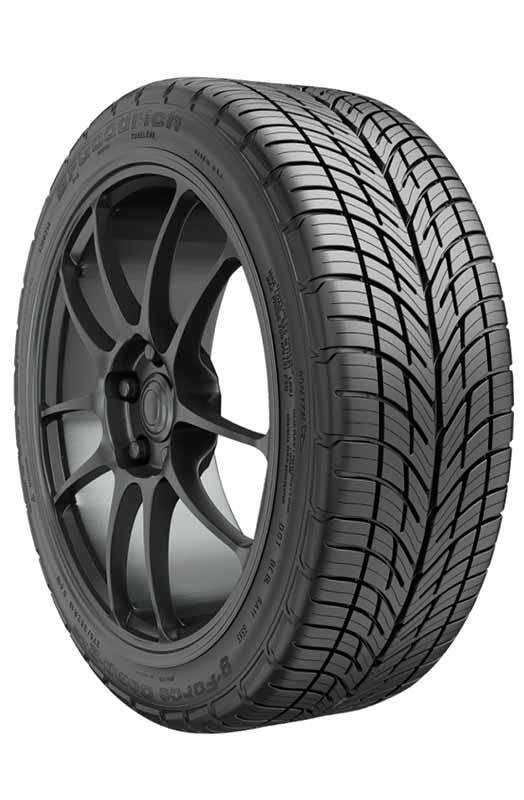 Advanced Mold Design - Squared-off shoulder and enhanced contact patch shape, evenly distributes stresses across the tire footprint. Optimizes the contact patch for enhanced traction at speed. 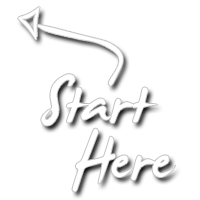 Stops up to 15 feet shorter on wet roads and up to 5 feet shorter on dry roads vs. leading competitors. Directional Tread Design - Large, rigid tread blocks optimize rubber-to-road contact for ultimate dry grip; and V-shape angled lateral and longitudinal grooves efficiently evacuate water for better wet traction. 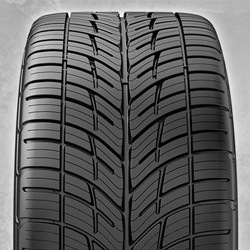 Performance Tread Profile - Consistent tread block rigidity balances braking forces within the tire footprint. 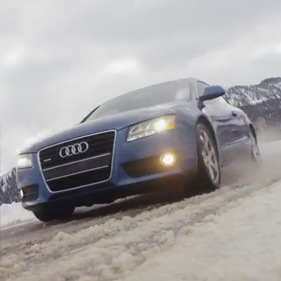 Better snow traction than leading competitors. 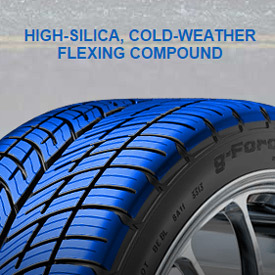 All-Season Compound - High-silica, cold-weather flexing compound designed for for the best wet and dry grip, with all-season traction. Performance Tread Profile - Optimized shoulder with large, wraparound outer tread blocks, for ultimate grip in hard cornering. Dynamic Suspension System (DSS) - Reinforced internal structure that increases control while maintaining ride comfort. g-Control Sidewall Inserts - Adds sidewall stiffness to resist deflection for immediate turning response.